As security agents continue the investigation of alleged corrupt practices in the judiciary, 10 gunmen yesterday stormed three courts in Makurdi, the Benue State capital, carting away case files and other sensitive materials. The gunmen, armed with sophisticated weapons, stormed the houses accomodating High Court 9, Magistrates Court and Upper Area Court, shooting sporadically into the air. During the shooting, wife of deputy governor of the state, Justice Mary Abounu who was presiding over a case when the gunmen stormed her court, was held hostage for some hours. Speaking on the attack, the Magistrate in charge of Chief Magistrates’ Court 1, Isaac Ajim said the gunmen broke the padlock of the court room and the chambers, and carted away one of the computers, one printer, a generator and window curtains, as well as files for already disposed and indisposed cases. At the raid on High Court 9, the gunmen carted away a refrigerator, three stabilizers, set of computer, window blinds and left behind empty bottles of drinks. 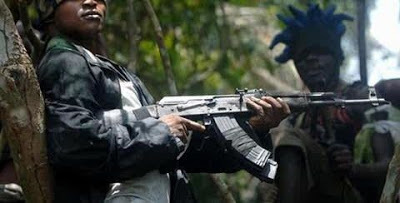 At the Upper Area Court, the gunmen reportedly carted away N280,000. Confirming the incident, state Police Public Relations Officer (PPRO), Moses Yamu, said three security guards had already been interrogated, adding that the force would apprehended the suspects and bring them to book.